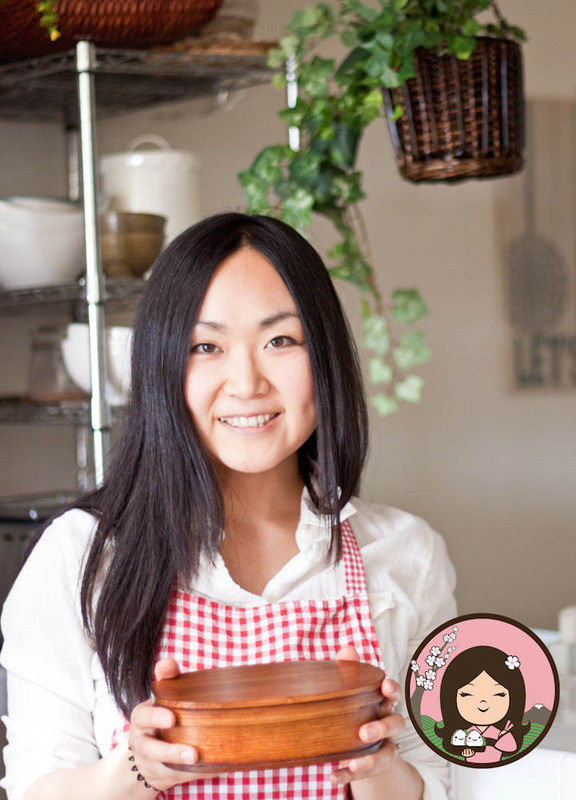 Spice Up Your Life With a Taste of Japan: Fresh Strawberry Daifuku Made With Rice! 2. Soak the rice in the water over night. 3. Add sugar and mix. Shift in a FP and mix well. 4. Place in a microwave-safe bowl. Cover with a plastic wrap. 5. Cook in a microwave for 2mins. Take it out and mix with wet wooden spoon or something. 6. Cook in a microwave again for 2mins. Mash up rice with a wooden pestle. If there is still a little hard rice, cook for another 2 mins. 7. Wrap strawberries with sweet beans. 8. Dust the work surface with corn starch. 9. When the rice cooled down a little, divide in 4 or 5 with a wet spoon and place on the coated surface. 10. Dust your hands with corn starch and push and flatten the rice with your hands. 11. Wrap the strawberries with rice. If you don't eat right away, wrap it with a plastic wrap and place in a refrigerator. Don't keep more than 2 days. I love your blog so much! i went all the way back to your very first post! Thank you for sharing your cute and inspirational creations with us <3 have a wonderful day. Thank you so much:)!! !Glad to hear that you enjoy it! 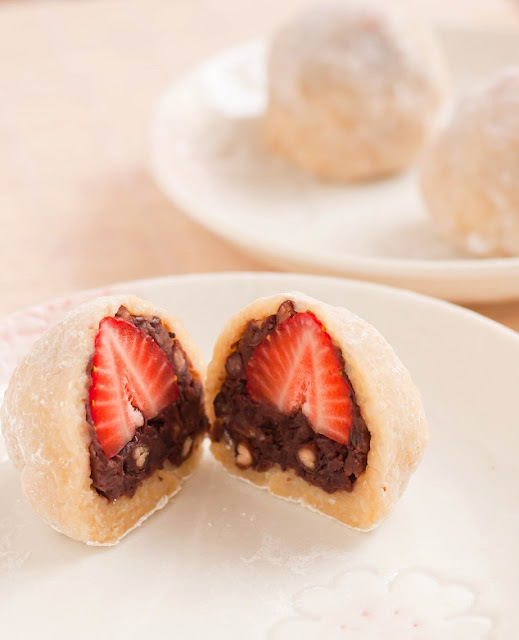 © Spice Up Your Life With a Taste of Japan: Fresh Strawberry Daifuku Made With Rice!